Vitesse AuDessus, a Maryland-based producer of premium aftermarket body components, has teamed up with Europe’s Bengala Automotive Design to create customized aesthetic packages for the existing Roller lineup, including the Phantom (sedan, convertible, and coupe body styles), Wraith, Dawn, and our personal favorite, the full-size Ghost luxury sedan. 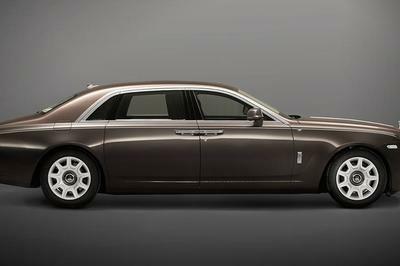 But we’ve seen countless customization programs for Rolls-Royce vehicles over the years, so what makes this one so special? To put it bluntly – oodles and oodles of carbon fiber. 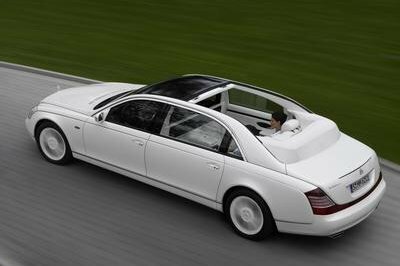 Of course, these are Rolls-Royces we’re talking about, and as you might expect, not just any carbon fiber will do. Rather, these composite-laden Rollers get a material described as “a compressed carbon matrix,” which, according to the attached press release, is a material that’s a lot like the forged carbon fiber that Callaway Cars and Lamborghini use to create more speed. However, this time around, it’s getting used for looks, not velocity. So then – did Mr. Saeidnia succeed in his mission? Read on to find out. 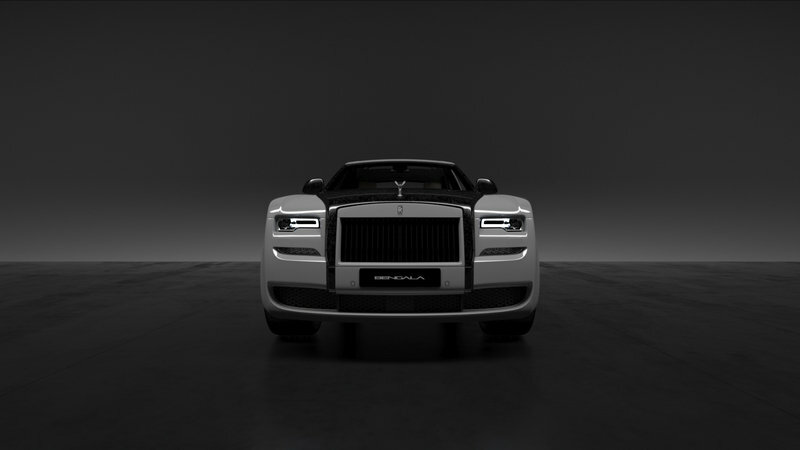 Continue reading to learn more about the Rolls-Royce Ghost with Carbon Fiber by Bengala and Vitesse AuDessus. The press release claims this is the first time the material has been used in the auto industry expressly for the purpose of aesthetics, but, to be honest, I have a hard time believing that. There are plenty of examples of carbon fiber packages out there that are just for the looks, although perhaps none of them are this specialized forged carbon material. Even still, it’s really not that novel, although it is more expensive than normal – which I guess justifies the whole venture, really. It’s funny though, because even when it’s just for looks, carbon fiber is supposed to connote speed and performance. 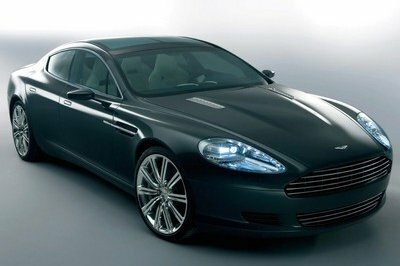 I suppose the idea to use it for ultra-high-end appearances is somewhat refreshing, not to mention honest. Because here’s the thing – if its on a street car, even a top dog performance machine, most carbon fiber pieces really are exclusively for looks. Yeah, you might save a few pounds here or there, but the difference in performance wouldn’t really manifest unless you were pushing ten-tenths on the track. That said, these new components might actually add a little extra zing, specifically if you go for the optional forged carbon fiber wheels, which the press release claims to be yet another industry first. 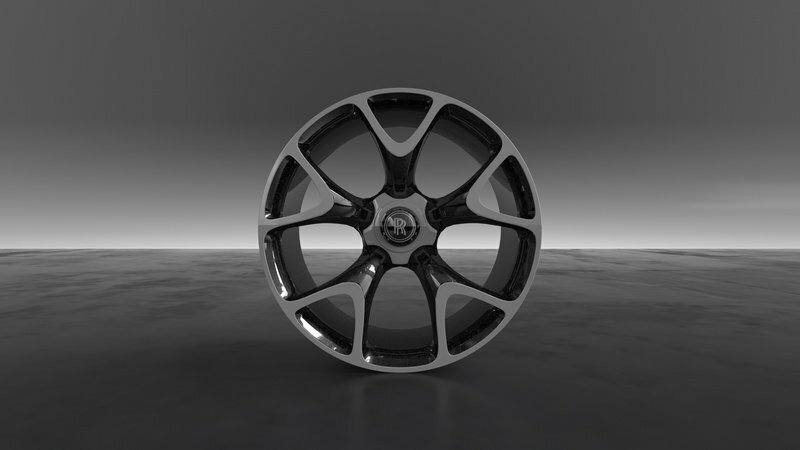 The material is “lighter and denser than titanium,” significantly cutting into the vehicle’s unsprung weight compared to traditional alloy wheels. 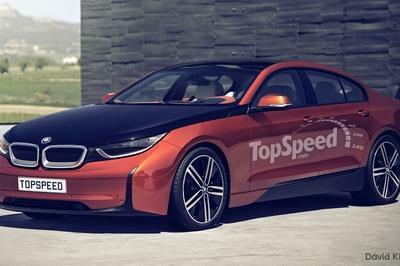 This, in theory, should help to lower acceleration figures (at least marginally). At the very least, the forged carbon material is much faster on the manufacturing side of things. Whereas traditional carbon fiber components take days to create, forged carbon takes just minutes. If you’re looking to go all-out on the carbon binge, Vitesse AuDessus is offering each of the Roller’s body panels in bare carbon fiber. These pieces can even be customized with whatever weave, tint and finish you may desire. How about an all-carbon Ghost with a white-and-silver weave, slathered in a high-gloss finish? That should turn at least a few heads at the yacht club, no? Each piece is guaranteed with an OEM fit and finish, and gets a five-year warranty against yellowing and defects. Although forged carbon fiber is quicker to produce than regular carbon fiber, a three- to four-week lead-time is needed for the body components, while four to six weeks are needed for the wheels. 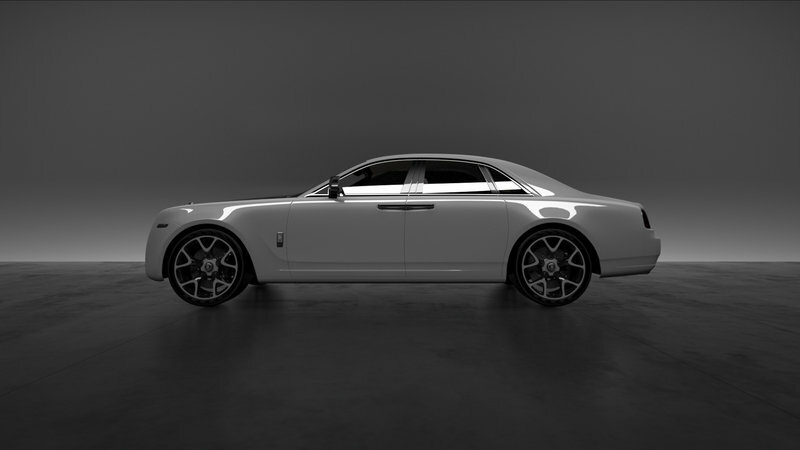 As a reminder, the Rolls-Royce Ghost comes packing with a twin-turbo 6.6-liter V-12 engine laying down 562 horsepower and 573 pound-feet of torque. The curb weight is rated at roughly 5,500 pounds, but a lot of that is in the equipment, not the body panels, which means adding carbon fiber panels probably won’t do a whole lotta good for the performance. Should look nice, though. 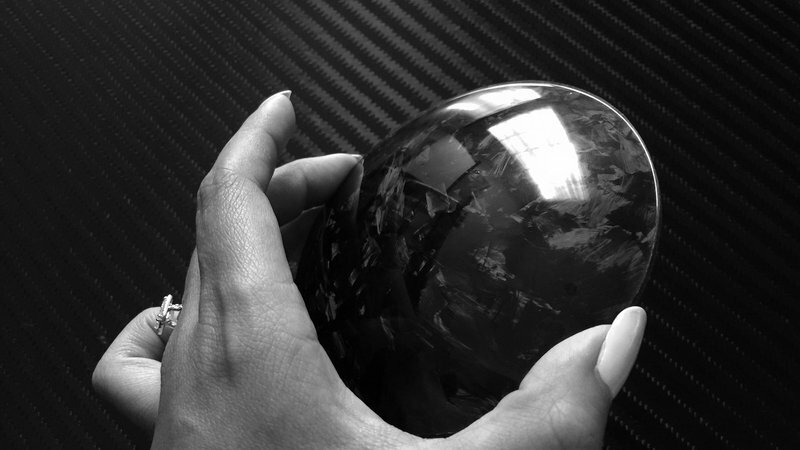 "Forged carbon fibre is an extraordinary development for the automotive industry. To the casual observer the material serves a purely utilitarian purpose. As a designer I was inspired by the mosaic-like motifs and felt that the aesthetic could be elevated. 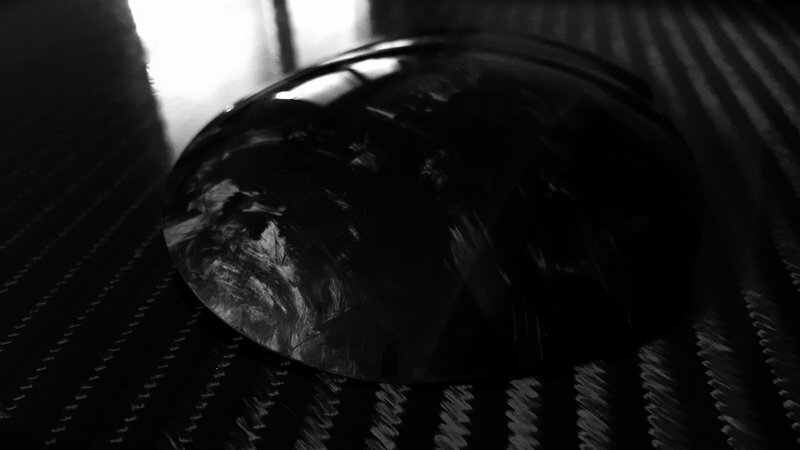 I visualised a material with the look of honed granite that would communicate the antithesis of the current perception: opulent luxury as opposed to ascetic utilitarianism. 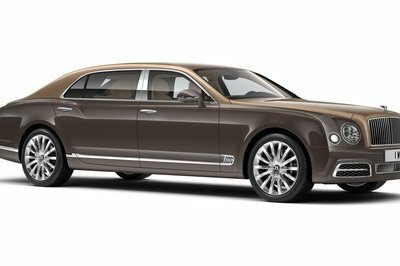 The product that Vitesse AuDessus was able to develop exceeded my highest expectations; and, when thinking of the appropriate application for the material’s debut as a luxury finish, no pairing was better suited than the handmade rolling masterpieces by Rolls-Royce,“ says Bengala Owner and Design Chief Shoghi Saeidnia. Aside from the forged offering and true to Vitesse AuDessus’s bespoke commitment, every removable body panel is available in bare carbon replacements in the weave, tint and finish specified by the client. For those parts attached to the chassis, the brand offers lightweight veneers.